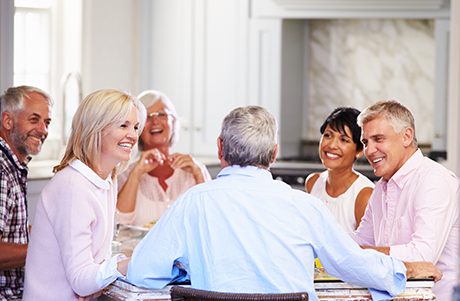 We offer a full range of general family, cosmetic and restorative dentistry. With practices in both Highland Park and Robina, DC Dental Care offers a range of dental surgery services from cosmetic dentistry to dental implants and more. View our services page or call us today to make an appointment at one of the Gold Coasts most reliable and professional dentists! We offer the Child Dental Benefits Schedule for eligible children. This provides up to $1,000 over two calendar years for select treatments. To find out if your child is eligible, you can contact through your Medicare online account at my.gov.au or by calling 132 011. And while you bring your child in, why not get your check-up? We pride ourselves on providing gentle, caring dentistry for patients of all ages. If you need a check-up and clean, our friendly teams at Robina and Highland Park can help you. Where necessary, a referral can be arranged to specialists with whom the DC Dental dentists work closely with. Both the practices have been awarded Dental Practice Accreditation from an independent accreditor. DC Dental is proud to be among the first dental practices in Australia to seek and attain voluntary accreditation. Accreditation means that an independent federal government recognised body has assessed our systems and procedures and found they satisfy or exceed the Australian Standards and Guidelines. This includes systems for infection control, workplace health and safety, patient record confidentiality and patient safety. DC Dental Care in Robina and Highland Park offer cosmetic dentistry to improve the colour and shape of your teeth. With treatments like dental veneers, dental crowns and teeth bleaching, we can help give you a bright, healthy-looking smile. We offer porcelain and composite veneers depending on the result you wish to achieve. Composite veneers can be done in one appointment. While porcelain veneers can take two appointments—the advantage of porcelain is that it will last longer and is more stain resistant than composite. More commonly known as teeth whitening, we offer a take-home teeth whitening kit to allow you to whiten your teeth in your own time. DC Dental Care offers a range of dental options for replacing teeth. From the traditional denture through to implant-supported treatments, our teams in Robina and Highland Park can help you. Denture treatment can be a non-surgical option for replacing missing teeth. And they can also be supported using dental implants. The option used will depend on you and your oral health. Either way, this is an effective tooth replacement option. A dental implant is a metal rod that replaces the tooth root. Once it has successfully fused with your jaw, an abutment is placed which the dental crown, bridge or denture is attached. A dental implant—barring injury or sickness—can last a lifetime. the dental prosthesis attached, however, typically lasts 10 to 15 years. Not only do straight teeth look good but they are better for your oral health. DC Dental Care in Robina and Highland Park offer a range of orthodontic treatments to help you get straighter, healthier teeth. Some of the orthodontic treatments we offer include metal braces and Invisalign. Metal braces are the most commonly used type of orthodontic care. Suitable for teens and adults, these treatment has helped patients get orthodontic treatment with predictable results. This treatment can take as long as 2 years to complete, but the results, and the health benefits of the results, can make it worthwhile. 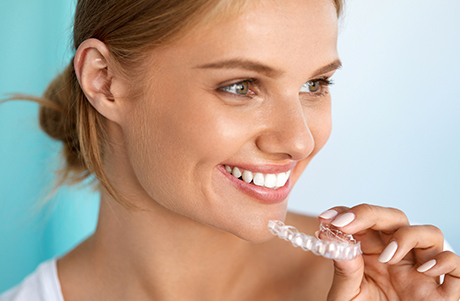 Invisalign is a series of clear aligners that straighten teeth discreetly. This orthodontic treatment can also be suitable for teenagers and adults. However, there is an element of compliance that does make this treatment slightly less predictable than metal braces. To find out which orthodontic treatment is right for you, contact us today. DC Dental Care has two locations on the Gold Coast: Robina and Highland Park. Our Robina dental practice is conveniently located close to Robina Town Shopping Centre and is open six days a week. We are open late on Wednesdays and half day on Saturday. 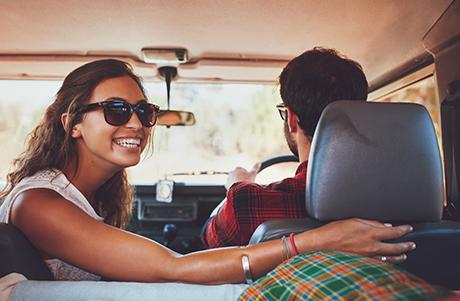 Located just off the Pacific Motorway, our Highland Park dental practice is open five days a week. And to help families in the area we are only late until 7 pm on Monday, Tuesday and Wednesday. Please fill in the online enquiry form to ask a question or book your consultation. The friendly team at DC Dental look forward to seeing you at our clinic soon!